On my trip back to Los Angeles from The B-List conference, I had the pleasure of reading The Big White Book of Weddings by David Tutera. 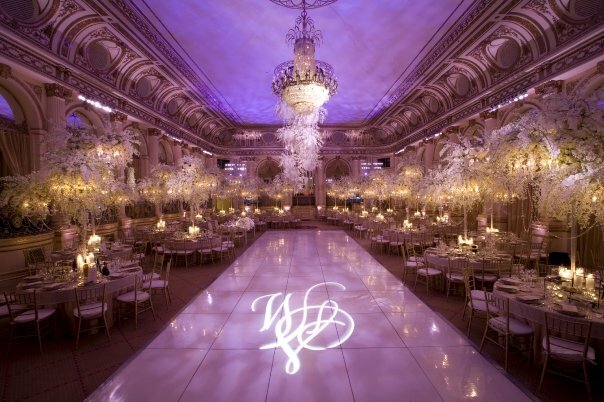 From inspiration, budgets, invitations, catering, florals and more, David offers sage advice for any bride to be. I highly recommend getting this book from one of the most trusted names in the business. But if you can't get to your bookstore, here are just a few of David's creations for your enjoyment. gorg- loving the stripes everywhere. i posted the girl below last week, she's beautiful! Wonderful creations! David is so talented! gracey! this is your ps joan (jackie's sister). I love your blog!! gj!! hope you're doing well! Brilliant creations! I love how he combined those designs as well as the colors. I think the 2nd pic was the best. Thanks for sharing. Wow, those venues look amazing! I live the lilac and white, and the way the lighting brought in a gold color as well. Gorgeous. 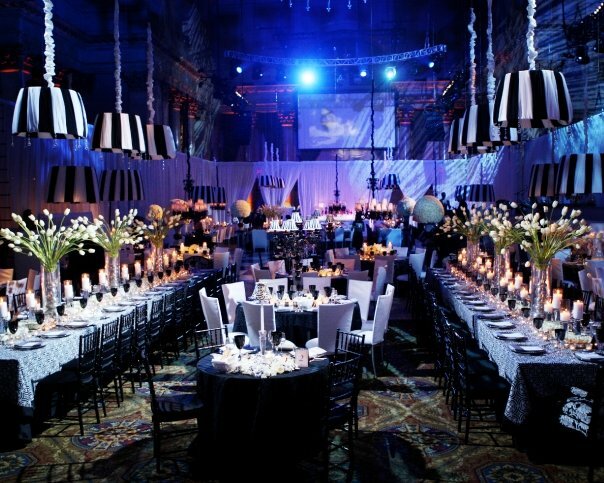 And very smart to have really tall elements to draw your eye up to the impressive ceiling. These are beautiful setups. I particularly like the yellow and the blue. 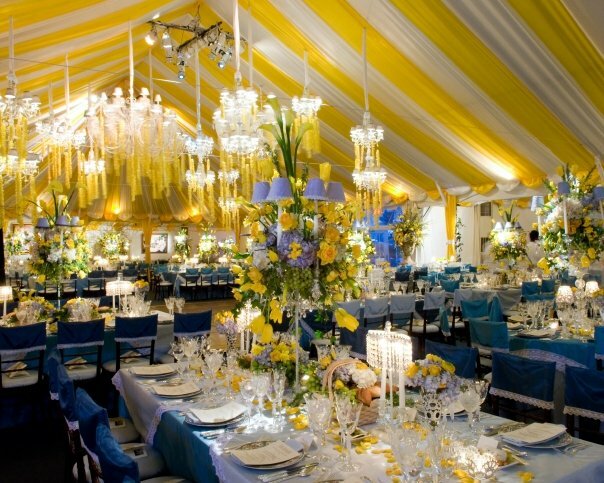 You wouldn't think a yellow and white striped tent would be elegant, but this is stunning! i am in love with the inside of that marquee.